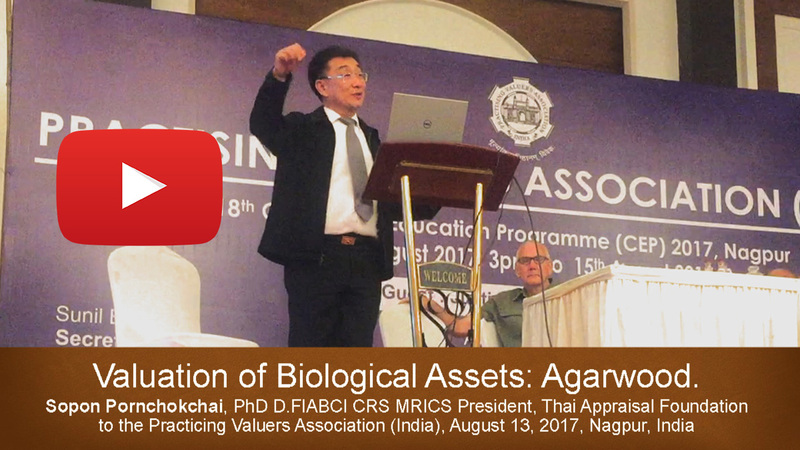 On August 13, 2017, Dr.Sopon Pornchokchai, President, Agency for Real Estate Affairs and also President, Thai Appraisal Foundation was invited by the Practicing Valuers Association of India (PVAI) to present a paper on Biological Asset Valuation, a Case of Agarwood to the PVAI's annual education conference in Nagpur, India which was held on August 12 to 15, 2017. The following is the presentation of Dr.Sopon together the slides involved. Please follow this link to have a look.